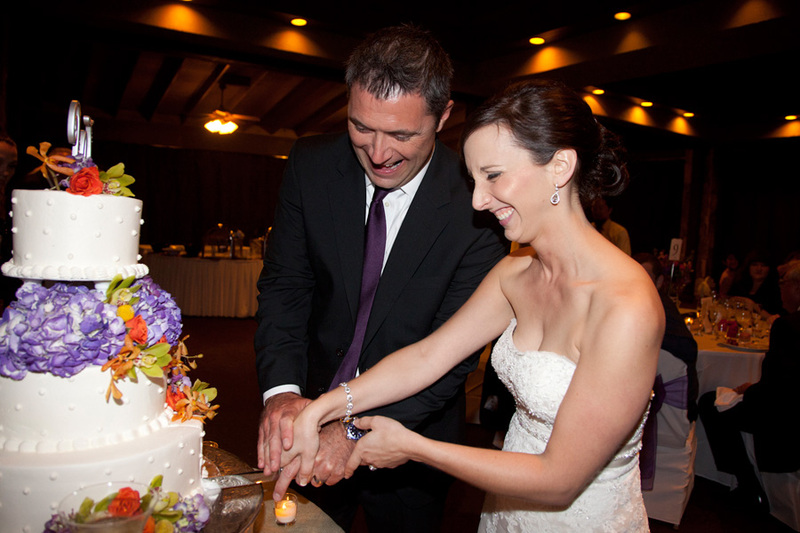 Our last blog was written about Wedding Color Schemes you may choose for your flowers and decor. This gorgeous fall wedding at Lake Lanier Islands, PineIsle Point is a perfect example of complementary colors – their names are “complementary” but actually they are not complementing each other at all. These colors when used together stand out and create contrasts. 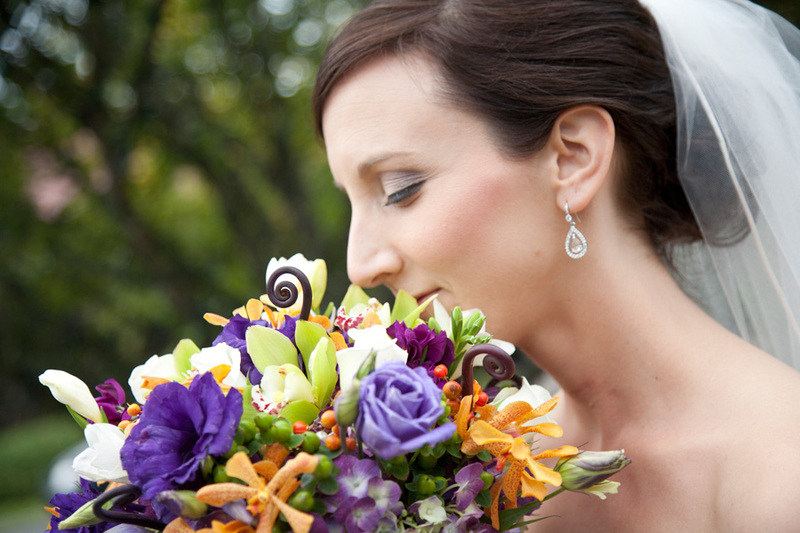 You can see the colors below; “Eggplant” or deep purple hydrangeas, ivory sweetheart roses, dark purple lisianthus, arranged with orange dendrobiumn blooms — made up Ann’s bridal bouquet. 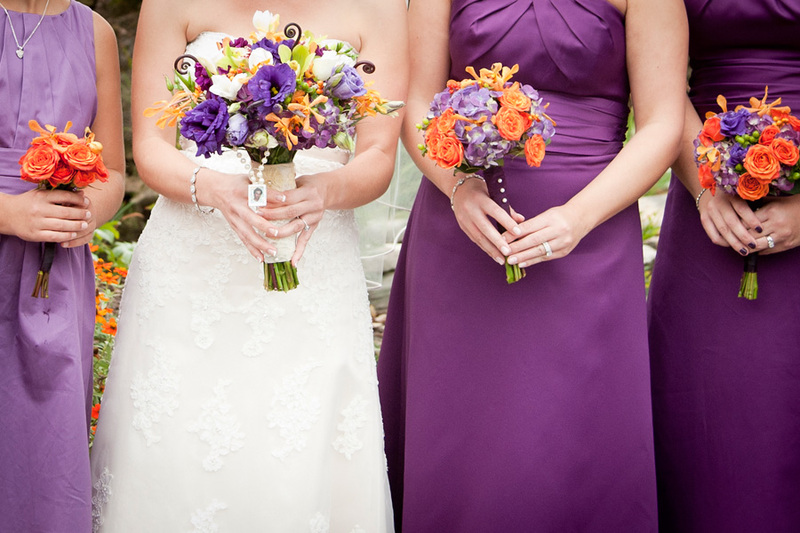 Similar bridesmaid bouquets were also designed as a complementary mix of these contrasting colors. Truly absolute stunning colors to compliment this beautiful bride! 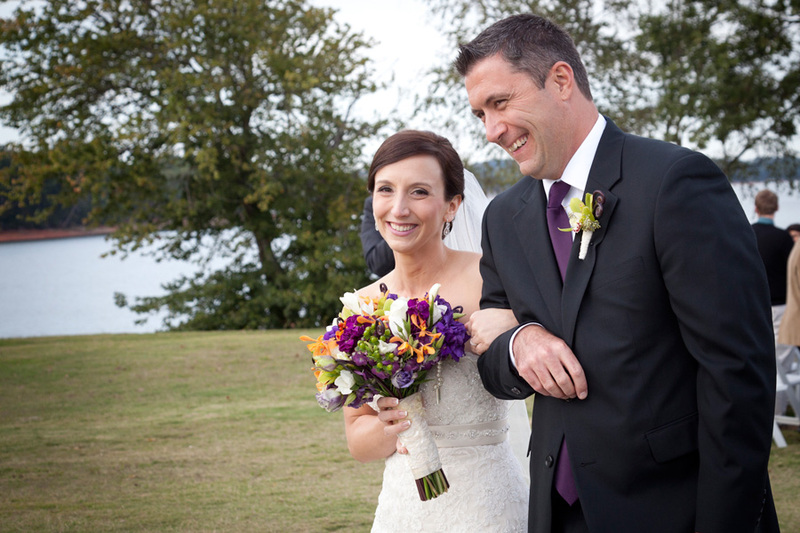 Ann + Dan not only had ideal outdoor weather – – lakeside, but this day was filled with elegance from beginning to end. Design House felt right at home creating this vision of complementary wedding aisles all lined with rustic shepard hooks – -accented with fresh ivy, and mason jars filled with orange and purple flowers. An intimate reception followed at the PineIsle Pavilion. These pictures below capture it all – – Thank you Nikki Strayhorn for sharing such beauty!